Learning the lessons of the past allows you to build personal testimony on a solid bedrock of obedience, faith, and the witness of the Spirit. 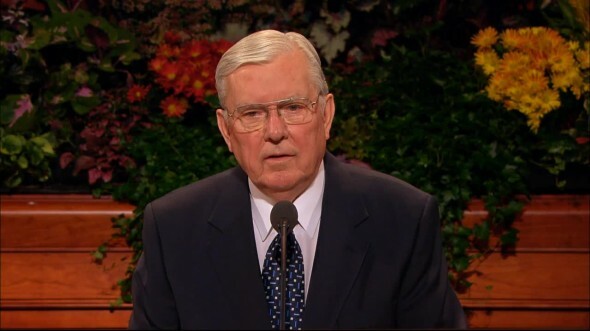 While for some, texting would be easier, I’m grateful for this opportunity today to speak because I have a message I feel is important for that grandson and for my other grandchildren as well as for all of the youth of the Church. Years ago when I was in business, I learned a very expensive lesson because I did not listen carefully to the counsel of my father, nor did I heed the promptings of the Spirit giving me guidance from my Heavenly Father. My father and I were in the automobile business, and the Ford Motor Company was looking for dealers to sell their new line of cars. Ford executives invited my father and me to a preview showing of what they thought would be a spectacularly successful product. When we saw the cars, my father, who had over 35 years experience in the business, cautioned me about becoming a dealer. However, the Ford sales personnel were very persuasive, and I chose to become Salt Lake City’s first—and actually last—Edsel dealer. And if you don’t know what an Edsel is, ask your grandpa. He will tell you that the Edsel was a spectacular failure. Now, there’s a powerful lesson for all of you in this experience. When you are willing to listen and learn, some of life’s most meaningful teachings come from those who have gone before you. They have walked where you are walking and have experienced many of the things you are experiencing. If you listen and respond to their counsel, they can help guide you toward choices that will be for your benefit and blessing and steer you away from decisions that can destroy you. As you look to your parents and others who have gone before you, you will find examples of faith, commitment, hard work, dedication, and sacrifice that you should strive to duplicate. It’s hard to imagine a scenario in which it would not be worthwhile to consider and learn from the experience of others. Many professions require internships, during which aspiring professionals shadow seasoned veterans to learn from their years of experience and accumulated wisdom. Rookies in professional sports are often expected to sit on the bench and learn by watching experienced players. New missionaries are assigned to work with a senior companion whose experience helps the new missionary learn the right way to effectively serve the Lord. Of course, there are times when we have no choice but to venture out on our own and do the best we can at figuring things out as we go along. For example, there are not a lot of people in my generation whose experience can help when it comes to the most modern of technologies. When we have problems with modern technology, we must look for someone who knows more about it than we do—which usually means turning to one of you young people. 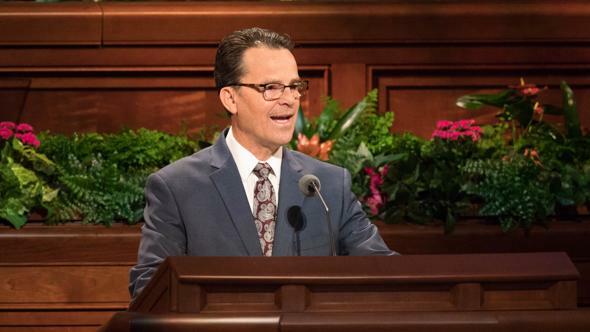 It is my message and testimony to you today, my young friends, that for the most important questions of your eternal lives, there are answers in the scriptures and in the words and testimonies of apostles and prophets. The fact that these words come largely from older men, past and present, doesn’t make them any less relevant. In fact, it makes their words even more valuable to you because they come from those who have learned much through years of devout living. There is a famous saying attributed to George Santayana. You’ve probably heard it: “Those who cannot remember the past are condemned to repeat it” (in John Bartlett, comp., Familiar Quotations, 15th ed. , 703). There are, in fact, several different variations of this quote, including “Those who do not remember the past are doomed to repeat it.” Regardless of the exact language, the sentiment is profound. There are great lessons to be learned from the past, and you ought to learn them so that you don’t exhaust your spiritual strength repeating past mistakes and bad choices. 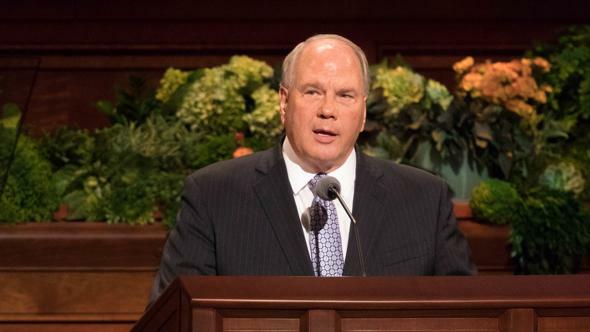 You don’t have to be a Latter-day Saint—you don’t even have to be religious—to see the repeating pattern of history in the lives of God’s children as recorded in the Old Testament. Time and again we see the cycle of righteousness followed by wickedness. 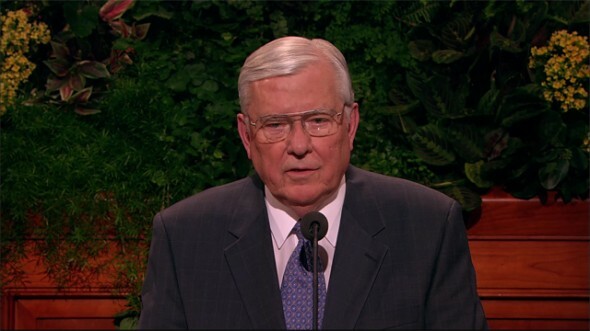 Similarly, the Book of Mormon records that ancient civilizations of this continent followed exactly the same pattern: righteousness followed by prosperity, followed by material comforts, followed by greed, followed by pride, followed by wickedness and a collapse of morality until the people brought calamities upon themselves sufficient to stir them up to humility, repentance, and change. In the relatively short span of years covered by the New Testament, the historic pattern repeats itself again. This time the people turned against Christ and His Apostles. The collapse was so great we have come to know it as the Great Apostasy, which led to the centuries of spiritual stagnation and ignorance called the Dark Ages. Now, I need to be very clear about these historically reoccurring periods of apostasy and spiritual darkness. Our Heavenly Father loves all of His children, and He wants them all to have the blessings of the gospel in their lives. Spiritual light is not lost because God turns His back on His children. Rather, spiritual darkness results when His children turn their collective backs on Him. It is a natural consequence of bad choices made by individuals, communities, countries, and entire civilizations. This has been proven again and again throughout the course of time. One of the great lessons of this historical pattern is that our choices, both individually and collectively, do result in spiritual consequences for ourselves and for our posterity. 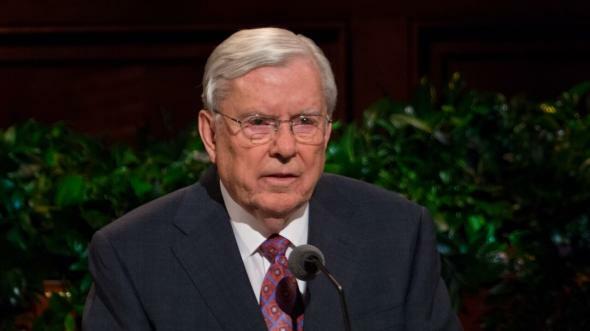 In every dispensation, God’s loving desire to bless His children is manifest in the miraculous restoration of the gospel truth to the earth through living prophets. 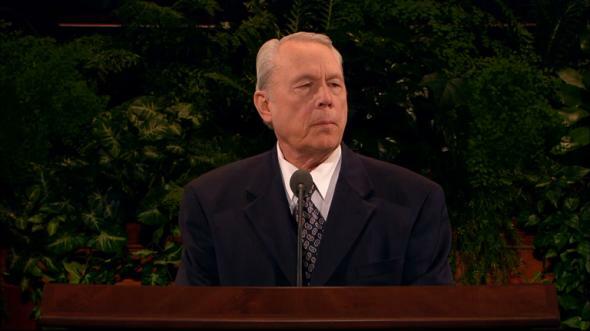 The Restoration of the gospel through the Prophet Joseph Smith in the early 1800s is only the most recent example. Similar restorations were accomplished in earlier times through such prophets as Noah, Abraham, Moses, and, of course, the Lord Jesus Christ Himself. 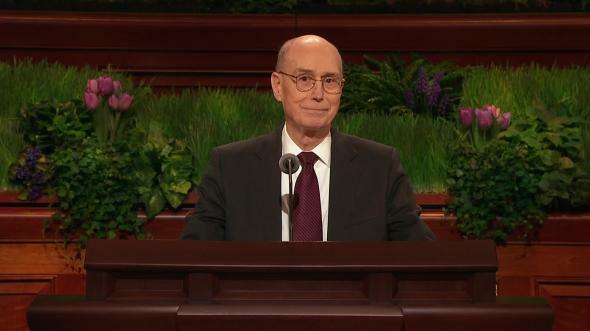 The 179 years that have passed since The Church of Jesus Christ of Latter-day Saints was officially organized have been extraordinary by any measure. Never in recorded history has there been a period of such remarkable progress in terms of science and technology. These advances have helped to facilitate gospel growth and expansion throughout the world. But they have also contributed to the rise of materialism and self-indulgence and to the decline of morality. Does any of this sound familiar, my young brothers and sisters? Do you see the historical pattern emerging again—the pattern of righteousness followed by prosperity, followed by material comforts, followed by greed, followed by pride, followed by wickedness and a collapse of morality—the same pattern we’ve seen again and again within the pages of the Old and New Testaments and the Book of Mormon? More importantly, what impact will the lessons of the past have on the personal choices you make right now and for the rest of your lives? 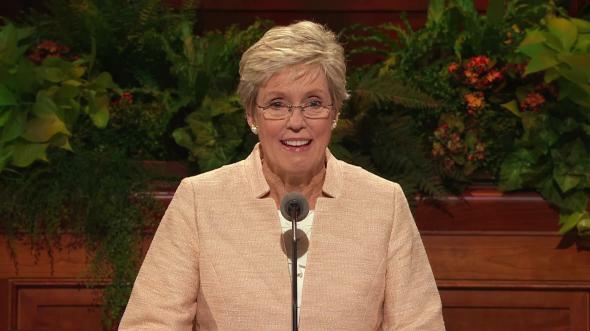 The voice of the Lord is clear and unmistakable. He knows you. He loves you. He wants you to be eternally happy. But according to your God-given agency, the choice is yours. Each one of you has to decide for yourself if you are going to ignore the past and suffer the painful mistakes and tragic pitfalls that have befallen previous generations, experiencing for yourself the devastating consequences of bad choices. How much better your life will be if you will follow the noble example of the faithful followers of Christ such as the sons of Helaman, Moroni, Joseph Smith, and the stalwart pioneers—and choose, as they did, to remain faithful to your Heavenly Father’s commandments. With all my heart I hope and pray that you will be wise enough to learn the lessons of the past. 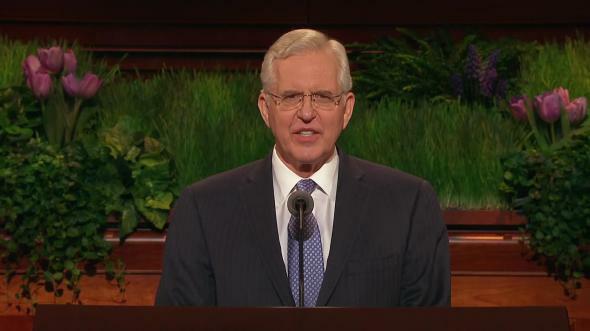 You don’t have to spend time as a Laman or a Lemuel in order to know that it’s much better to be a Nephi or a Jacob. You don’t have to follow the path of Cain or Gadianton in order to realize that “wickedness never was happiness” (Alma 41:10). And you don’t have to allow your community to become like Sodom or Gomorrah in order to understand that it isn’t a good place to raise a family. Learning the lessons of the past allows you to walk boldly in the light without running the risk of stumbling in the darkness. This is the way it’s supposed to work. This is God’s plan: father and mother, grandfather and grandmother teaching their children; children learning from them and then becoming a more righteous generation through their own personal experiences and opportunities. Learning the lessons of the past allows you to build personal testimony on a solid bedrock of obedience, faith, and the witness of the Spirit. Of course, it’s not enough to learn these lessons as a matter of history and culture. Learning the names and dates and sequence of events from the printed page won’t help you very much unless the meaning and the message are written in your hearts. Nourished by testimony and watered with faith, the lessons of the past can take root in your hearts and become a vibrant part of who you are. And so it returns, as it always does, to your own personal faith and testimony. That is the difference-maker, my young brothers and sisters. That is how you know. That is how you avoid the mistakes of the past and take your spirituality to the next level. If you are open and receptive to the whisperings of the Holy Spirit in your lives, you will understand the lessons of the past, and they will be burned into your souls by the power of your testimonies. 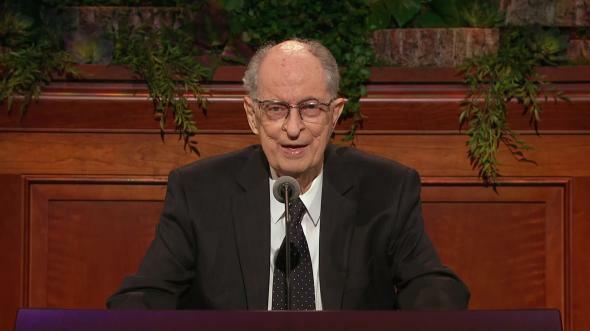 That you may find joy and happiness and peace in the future by learning the great and eternal lessons of the past is my prayer for each of you—for my grandchildren and all of the youth of the Church, wherever you may be—which I offer in the name of Jesus Christ, amen.